This carpet is woven in our Exmoor Axminster Weave. Made from: The finest 100 percent Pure new wool, woven to bring out the beautiful detail in the pattern. 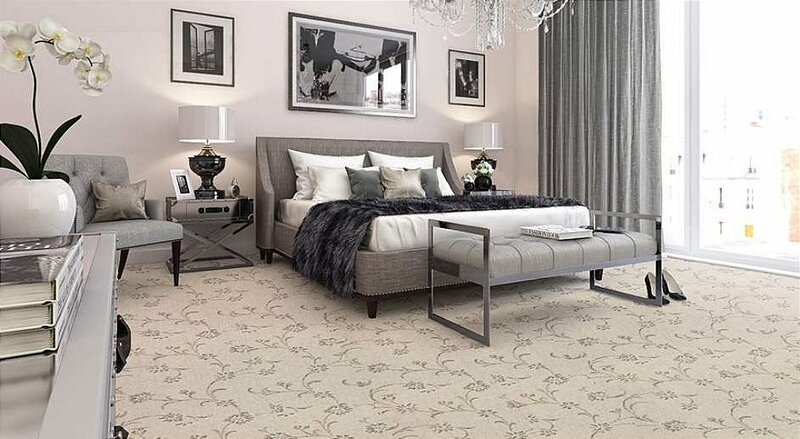 The chunky yarn of this carpet, reminiscent of the yarns used in tradition hand knotted rugs, will make you want to wriggle your toes into it giving a very cosy feeling to your room. I would like more information about Exmoor Botanica Snowdrop by Axminster Carpets.